Enjoy the best of both worlds, water and woods...fishing and hunting! This is an excellent opportunity to enjoy the great Michigan outdoors all year long on gorgeous all-sports Indian Lake. 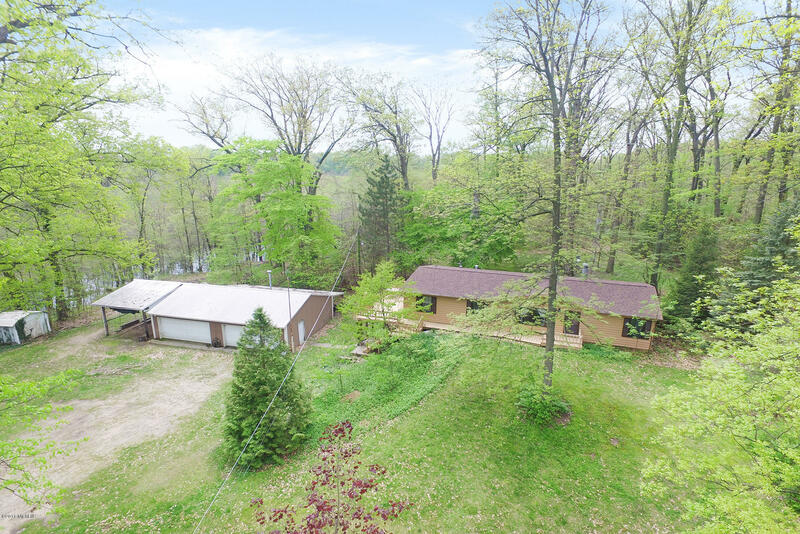 This home offers 3 bedrooms, 2 full baths, 1, 456 sq ft, main floor laundry, full poured-wall walkout basement, 4 car 30x40 pole building/garage with cement floor and 2 lean-to's added on, situated on 11.2 acres! 90' of channel water frontage, 1/7 ownership interest in 80' lake frontage with pier and sandy beach! This home is priced to sell so don't wait as it won't last long, schedule a tour today!